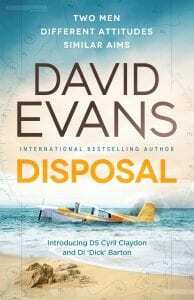 Today I welcome David Evans to the blog to talk about the inspiration behind his recently published novel, Disposal. If, like me, you’re fascinated by the thoughts and planning behind the stories we read, I’m sure you’ll find this post interesting! Disposal is currently on offer at 99p too! Cast your minds back a few weeks when we were enjoying the warmest summer since the famous one of 1976. That year, 1976 forever imprinted on our memories, is the setting for the start of my new crime series, The Tendring Series, the first of which, DISPOSAL, is out now. What are your memories of 1976? The music? Queen’s Bohemian Rhapsody; Abba – Fernando and Dancing Queen; Rod Stewart’s Sailing; or maybe Brotherhood of Man? Is it the drought and standpipes in the streets? The appointment of a Minister for Drought? For me, one unforgettable vision was driving over Woodhead Pass from Lancashire to Yorkshire on several occasions and witnessing just a trickle of water running through the reservoirs that would normally be full to the brim. The conception of DISPOSAL originated with a plot idea about a light aircraft crashing on take-off. Unfortunately, the pilot has perished but it is the gruesome discovery of another corpse, dead for a couple of days, that is the catalyst for the main investigation. After spending some years writing a detective series based in Yorkshire (The Wakefield Series), I was keen to explore something different. The air crash plot would be the perfect start for a new novel in a changed setting. And what better location for a new series than the area I have become familiar with for the past twenty-five years. So, passing ‘Clacton International Airport’ – otherwise known as the airstrip, home of Clacton Aero Club – that idea solidified. For my money, the books I enjoy require two major elements – plot and character. The plot would be developed but, as a writer, one of the fascinating aspects is characterisation. This can take many forms. 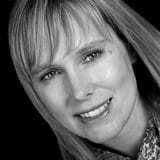 My great friend and mentor, fellow author Sally Spedding often talks about locations being characters in their own right. I tried to develop that here, as well as the ‘character’ that is the time period. Of course, human characters are also required. Who would be my main investigator? The building of a character solidifies with a name. In flirting with several possibilities, the image of a uniformed sergeant, nearing retirement began to emerge. I thought of my own father who had been a mechanic in the RAF during World War Two and some common characteristics sprang to mind. The name of Cyril came to the fore. A name not in common use now but it had been with many of that generation. With this historical link to the War, the time-frame for the book – the 1970s was obvious. Having decided that, the one year which would lock the book in the readers’ psyche would be 1976. I gained a tremendous sense of enjoyment with this project. Mostly, that was down to the characters. The one hugely satisfying moment was when writing a scene with my main protagonist, Cyril, travelling in a car driven by his CID nemesis, DI John Barton. When they set off, I had no idea what they would say or do. It was as if I was a passenger in the back seat listening in and taking notes. That was the first hint of a thaw in the relationship between the two men. Another successful character has been Cyril’s next-door neighbour, Doris. Now 78 years-old, she has lived next door to him all the time he’s been in his house. She looks after his aging Golden Labrador, Charlie, when he has to work shifts and was a great comfort to his late wife as she battled cancer. But Doris has other qualities, not least her interest in modern music. Considering she is older than Glenn Miller would have been had he not disappeared over the Channel in 1944, Cyril is amazed to hear her love for what she calls ‘Glam Rock’. I’ve had many comments from readers offering to look after Charlie and wishing Doris was their neighbour. So although Disposal is primarily plot-driven, it is equally dependent on the characters and how they develop and interact. From the reactions of the readers, that has been well-received. That’s wonderful, David. Thanks so much for sharing with us. You can purchase Disposal at the special offer price of 99p here. 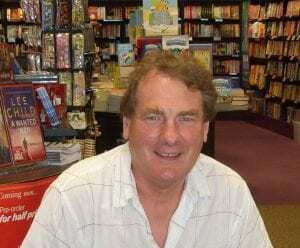 David Evans is a Scots-born writer who, after graduating from Manchester University, had a successful career as a professional in the construction industry. In 2012, he decided to concentrate on what he’d been doing for many years – write. The following year, his second novel, TORMENT, was shortlisted for the prestigious CWA Debut Dagger. This was to be the second novel in The Wakefield Series. In 2016 he signed a 3-book deal with Bloodhound Books for the publication of TROPHIES, TORMENT and TALISMAN. In June 2017 THE WAKEFIELD SERIES became an International Bestseller with success in Canada and Australia as well as the UK. Taking a break from the Wakefield Series, he wrote DISPOSAL, published in January 2018, the first in THE TENDRING SERIES, a completely new detective series set in north Essex in the late 1970s. Earlier this year, with other writers he formed the authors’ collective, Orchard View Publications, which has since helped publish the successful Ladies’ Day by Sarah Barton. The Wakefield books will be re-published by this route on 1st November with the fourth book in the series, TAINTED, being prepared for publication in February next year. The second Tendring Series novel, DISTRESSED, is currently underway. New Book News – Presumed Guilty Out in December!